Wherein my Tibaldi Impero Celluloid Scriptorium Pens Idyll (IM) is paired with KWZ IG Blue #6. 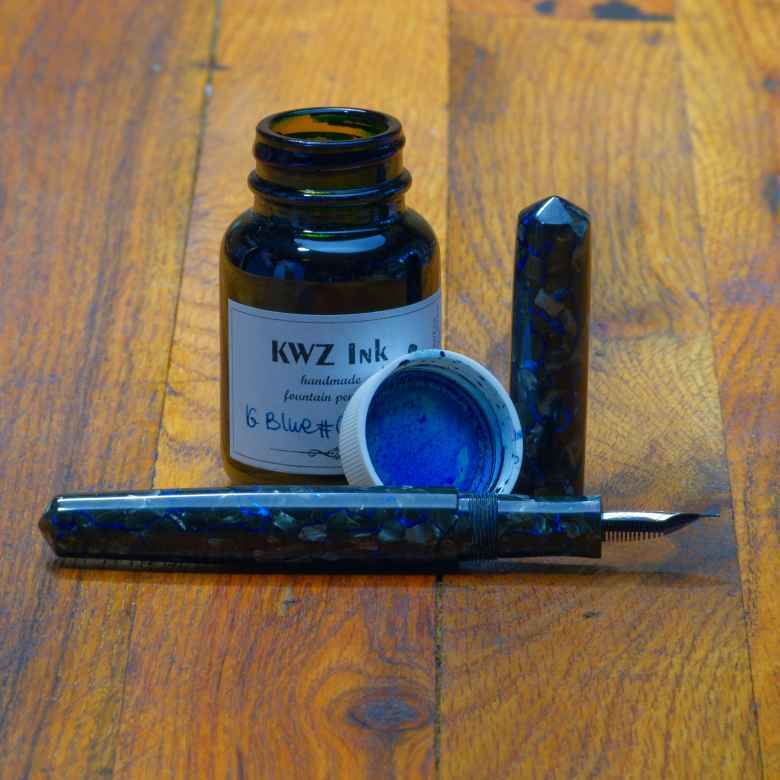 On January 2, 2018 my Tibaldi Impero Celluloid Scriptorium Pens Idyll (IM) joined its comrades when it was filled with KWZ IG Blue #6. I refilled it 5 times; the last refill was on December 18, 2018 . The pen was in use for one year and was emptied and cleaned on January 15, 2019 , saying good-bye to its fellows. It’s been far too long since I’ve got to use this pen, and since I need a pen for a blue waterproof/water-resistant ink for my youngest daughter’s diary I’m giving this iron gall ink a try. I’ve used it before and enjoyed the color. Now it’s time to see how it does in this pen. I definitely have mixed feelings with this combination. The color was great, but the ink would gum up in the nib, often resulting in hard starts. I did clean the pen a couple of times during the year, immediately refilling with the same iron gall ink. So far as I can tell there has been no issues with the nib and feed, though there is some slight staining to the converter. I still love the color of the ink, but I’m not sure I’ll return it to this pen any time soon.